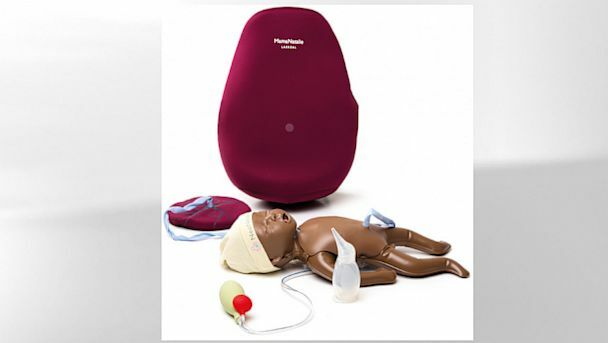 The MamaNatalie birthing simulator kit helps train medical professionals for live births. Photo Credit: Laerdal Global Health. If Resusci Anne and Resusci Andy had a love child, it would probably look like this baby from the MamaNatalie birthing simulator kit. In fact, the kit was conceived - if you'll pardon the pun - by Laerdal Global Health, the makers of the CPR dummies, for the purpose of training midwives and medical professionals on how to respond to potential complications during childbirth. As the company website explains, "Details such as weight, head articulation, umbilical pulse, as well as the babies' breath and heartbeat have been simulated as closely as possible, making the subsequent handling of a real-life baby only a minor adjustment." The kit includes everything you need for a realistic birthing experience: fake baby bump, baby with umbilical cord attachment, fake placenta, and fake blood and other bodily fluids. The baby even cries upon delivery. The kit includes everything needed to simulate a real-life birth. Photo credit: Laerdal Global Health. All this plus its own handy backpack for around $150 in the U.S. The only thing missing is the labor pain. Squeamishness aside, the simulator has already done a tremendous amount of good. Used since 2010 in the Helping Babies Breathe training program in Tanzania, it has helped reduced newborn deaths due to asphyxia by 47 percent. And for each birthing simulator purchased for use in a high-income country, the company donates an additional kit to a child-saving initiative in a low-resource country. There have already been more than 1,000 donations. The simulator won this year's INDEX, a prestigious design award given to products that create "sustainable solutions to global challenges." 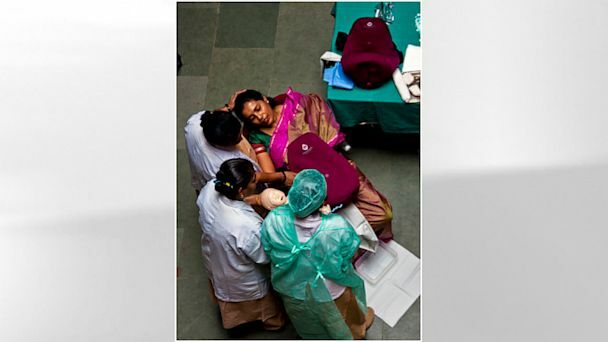 Laerdal donated the 100,000 Euros in prize money ($132,000) to the International Confederation of Midwives to fund training programs for more birth attendants in basic obstetric and newborn care by the year 2015.